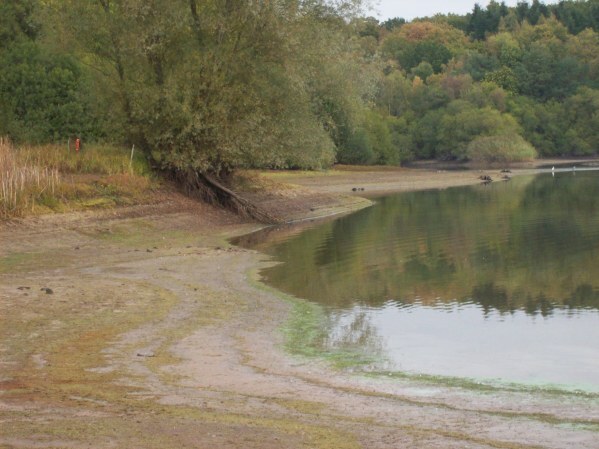 The past month has seen the reservoir level fall to its lowest for some years. 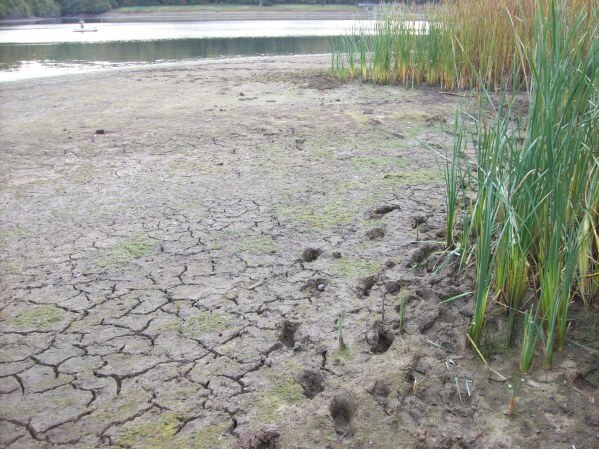 Fortunately, the rains have now arrived with a vengeance and we can look forward to reservoir levels returning to normal. Here are a small selection of photos taken in late October. On the morning of Friday 28th August, as the sun broke through the clouds and the mist rose off the water, two vans pulled up in the reservoir car park. These were not vehicles belonging to visiting anglers, but members of Hastings Sub Aqua Club. Both vans were filled with a large assortment of diving equipment. Boat anglers are forever getting anchors stuck and having to abandon them. Fortunately, the other end of the anchor rope has a buoy attached which marks the position of any anchor. 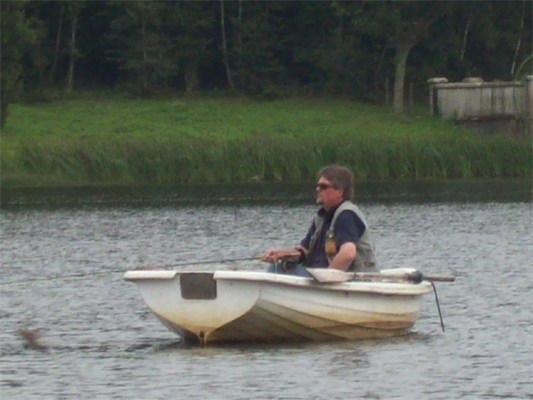 The bailiff has the job of retrieving abandoned anchors, normally using the wheelie boat with its electric motor. Over the years, only one anchor has proved to be impossible to free and this particular one had proved impossible to shift, despite numerous attempts, over the past two years. 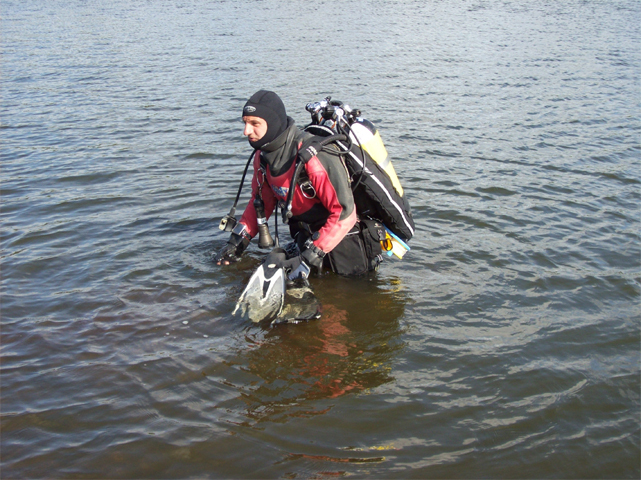 The aim of the diving team was to free the anchor and find out what has snagged it. 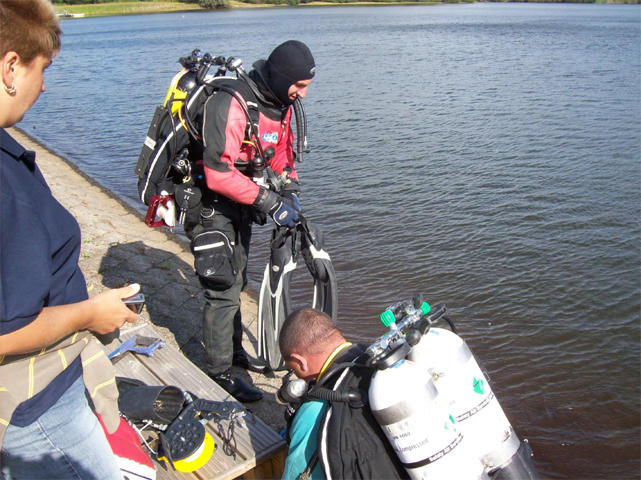 A team of two divers were to enter the water, one with a video camera to film underwater while a third member of the team remained on the dam to supervise proceedings and film the above water activities. 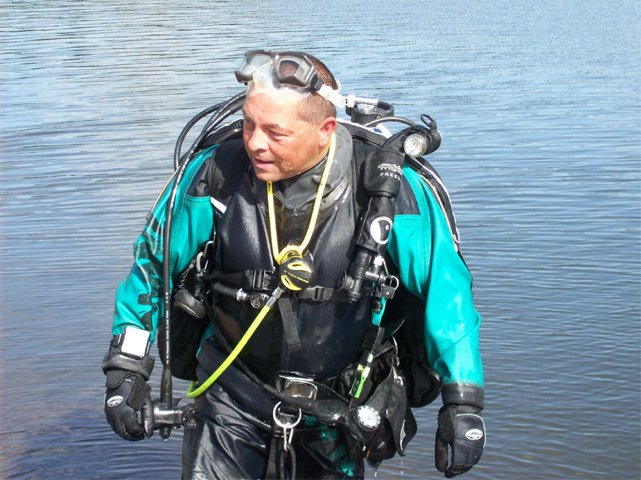 Unfortunately, the underwater visibility at the bottom of the reservoir was about 9 inches and much worse than the divers were used to in the sea. Underwater filming was impossible. Surprisingly, the divers had no difficulty in following the line down and releasing the anchor. However, simply by feel, they were unable to establish conclusively the nature of the obstruction. It was deemed to be either a fridge or a cooker which remains at the bottom ready to snag the next unlucky angler. 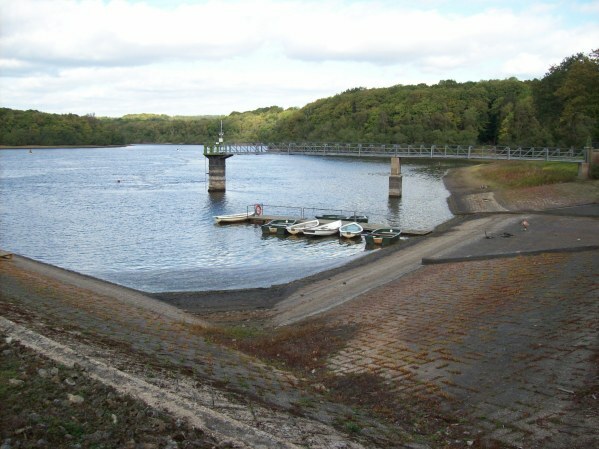 There used to be three buoys spaced along the dam to mark the minimum distance boats could go to the dam. 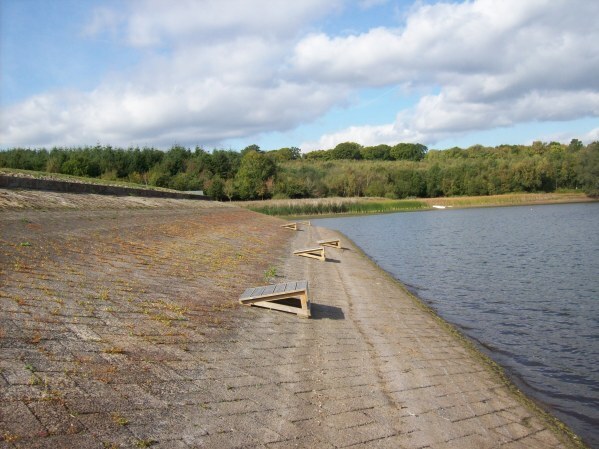 These were placed to ensure that bank fishermen were given adequate free space to cast and also to safeguard boats from drifting onto the dam itself. The story is told that these buoys were attached to old kitchen appliances such as cookers, fridges and washing machines, which were taken out by wheelie boat and dumped overboard. 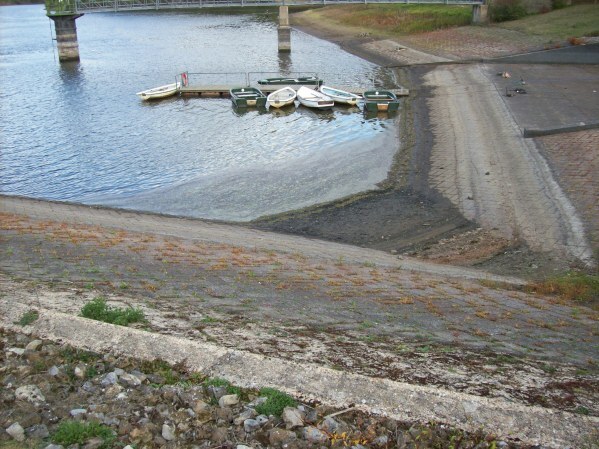 Over the years the ropes attached to the appliances rotted leaving the obstructions at the bottom of the reservoir for fishermen to unknowingly fish over them. 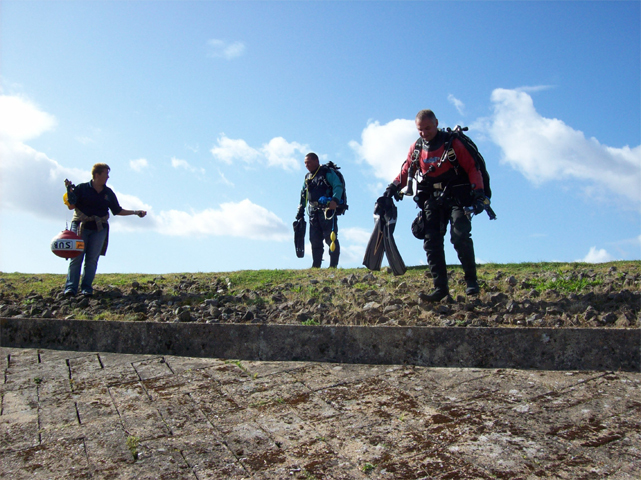 Thanks to Vince, Chris and Angie for taking the trouble to organise and undertake the dive. As promised, Keith Blundell's photo of the 14lb 12oz rainbow caught by Vic Partridge at Powdermill Reservoir on Sunday 23 August. 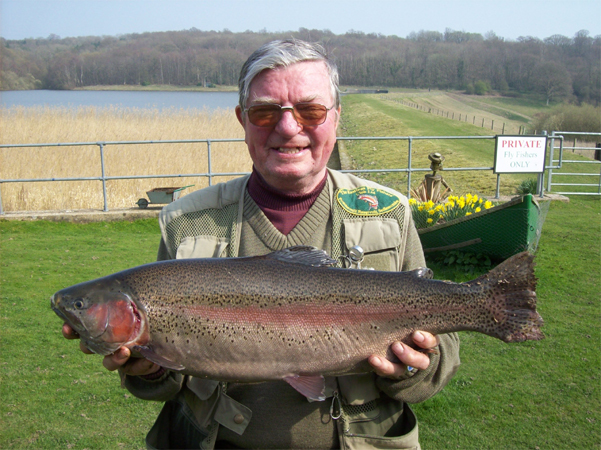 On Sunday 23 August, Vic Partridge, our resident bailiff, landed one of the monster rainbows which were stocked way back last March. This fish weighed 14lb 12ozs and had been in the water for four months along with other fish of around the same weight which were stocked at the same time. Several anglers witnessed the glorious battle and fortunately two anglers had cameras and took photos. Unfortunately we are still awaiting receipt of photos which we hope will appear here shortly. Although at least one of these gigantic fish had been recently spotted patrolling the margins on the far eastern bank, it steadfastly refused to take any notice of whatever anglers threw at it. A number of excited anglers have reported seeing solitary monster fish cruising around. Most of the eyewitnesses were suspected of gross exaggeration by their cynical compatriots, but too many people claimed to have seen, or even claimed to have hooked and done battle, with one of these monsters for there not to be some truth in the stories. Now that one has actually been landed, we 'in the know' can now confirm that there have indeed been a number of large fish stocked this season and, because they were of similar weights and not weighed prior to release, we do not know if this is the largest. What we do know is that there are equally large ones still out there. 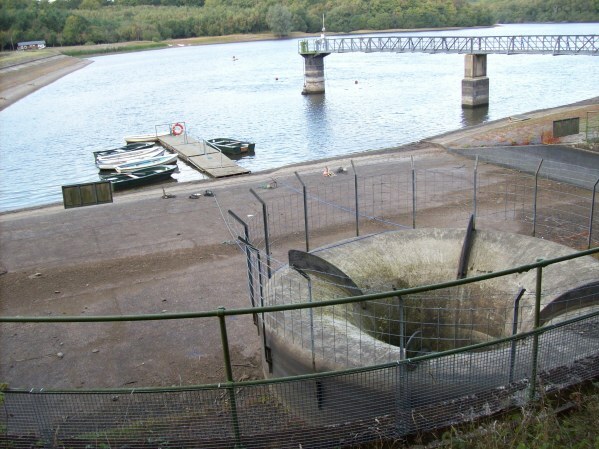 In the evening, Vic was fishing from he dam opposite the tower where the air-pipe enters the water. This particular Sunday had been the hottest day so far this year and the water temperature was around 19 degrees Centigrade. He was using a floating line (he only possesses floating lines). On the point was tied a Shipman's buzzer on a size 14 hook with another unspecified small fly on the dropper. I believe that he was retrieving slowly or was almost static when the floating line moved slightly and he struck. It would seem that the fish probably took the dropper but the hook did not bite. Fortunately the point-fly foul-hooked the fish and the battle began. The fish took off at a steady but resolute manner showing no sign of coming under control. Now, Vic uses a small reel designed to hold a 4/5 line, so his 30 meter Cortland line does not allow for a great deal of backing line. Before he knew what had happened he felt a jerk on the line and realised that he had run out of backing. Short of leaping into the water after the disappearing fish, he only had one sensible option available. 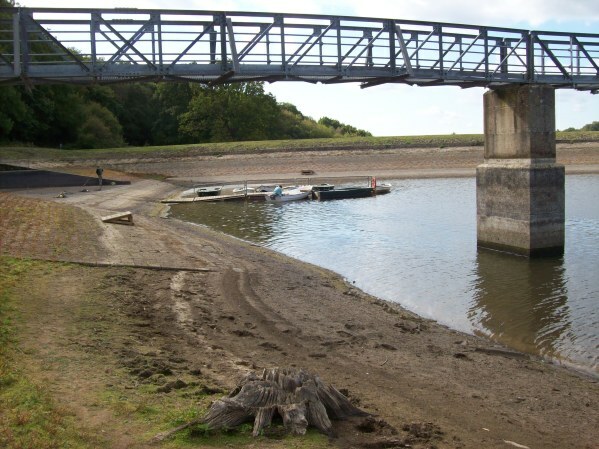 In a desperate effort to remain in contact with the fish, he dashed around the dam outflow to the opposite side by the tower, hanging on to the rod as best he could. Applying maximum strain, he just managed to persuade the fish to turn just before it got to the white buoys where it would have broken him. As those of us who have been fortunate enough to hook a large trout will testify, time can stand still when one is absorbed in a titanic struggle and it is difficult for Vic to assess how long the battle took. This report is an abridged version of the story as described to me. Suffice it to say that by this time your intrepid reporter had lost the will to live, as the saga lasted almost as long as the battle itself. Vic returns virtually all the fish that he catches (which is just as well as there would be none left for the rest of us). Sadly, this fish was so exhausted it had to be summarily despatched (I know how it felt, as by this time I wouldn�t have minded being put out of my misery). Anyway, even I look forward to seeing the photograph of the said monster together with its happy captor. Watch this space! Click on one of the four albums to see all the photos from the day. 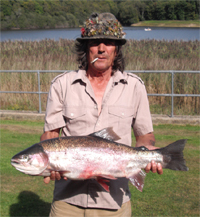 Jim Adams, the wily old fox and highly experienced fly-fisherman, was the only angler to read the conditions correctly on the day and apply the right method to ensure a six fish limit in the Club competition held on Friday 14 August. �This angler is very steady; a good each way bet. I expect him to come up with the goods very shortly. It may be today�. A fair prediction, albeit exactly the same statement as last year. Bookies know how to rig the odds � if you keep saying the same thing, it will eventually come true! A limit of 4 fish was set for the first session in the morning in order to ensure that you could not catch your 6 fish limit in the morning session and that all anglers had to fish in the afternoon. 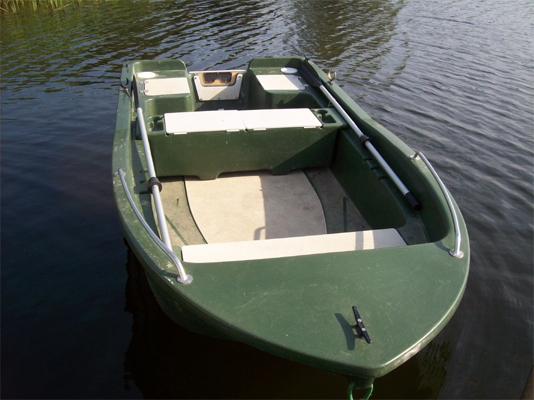 Jim�s tactics, while fishing the �bubbles� from a boat, put everyone else to shame. Despite it being hot and sunny he managed to get his 4 fish limit before the end of the session and had to row in early. Although we will never know if he could have caught the 6 fish total from the boat, as Don Burt managed last year, he continued using the same method from the bank in the afternoon to catch his remaining 2 fish. So what method did he use? 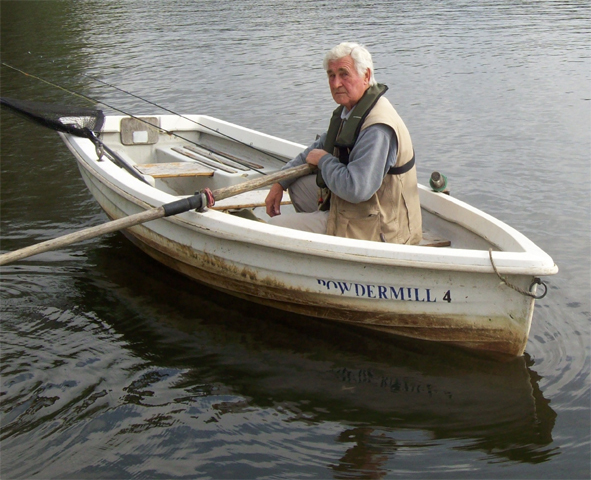 Well, despite the photo of Jim which shows that two rods having been set up in the boat, we understand that his rod with a floating line did the damage. 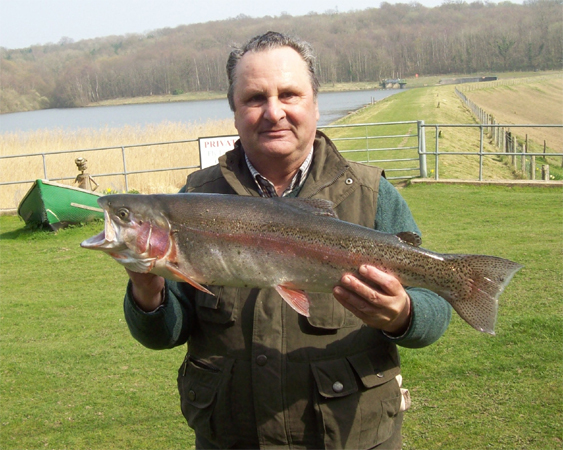 John Austin failed to catch any fish from his morning bank session, but managed 5 fish from a boat in the afternoon for a total weight of 7lb 13ozs and second place. 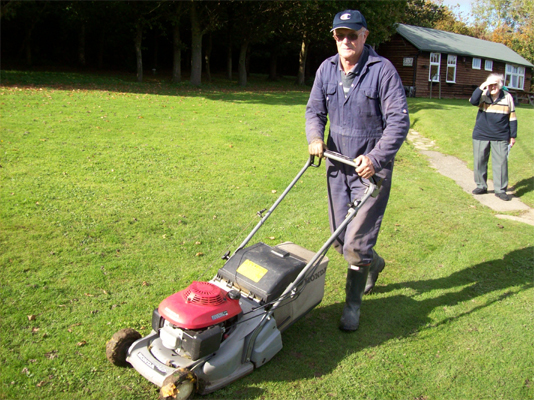 Last year�s winner, Don Burt, the 6/4 favourite, failed miserably during his morning session from the bank. Despite this, he managed to net 3 fish from a boat in the afternoon to finish seventh overall. Despite the heavy stocking and plenty of 3lb+ fish, the fishing was not particularly easy with five anglers failing to catch. 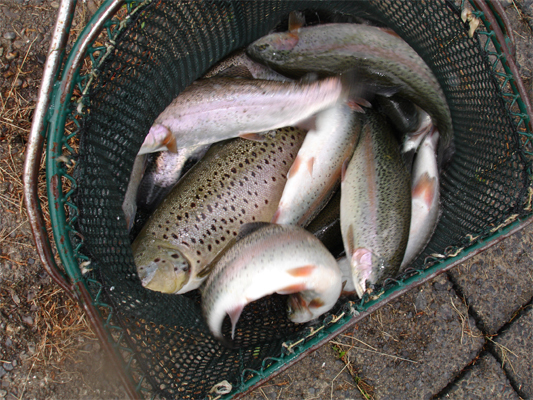 Only 41 trout were caught. Anglers on the far bank were being driven demented by what they claimed was a fish of double figures cruising nonchalantly parallel to the bank. One frenzied angler claimed that he cold almost touch it with his rod tip. It still remains uncaught ready for some lucky angler to grab the chance of catching the heaviest fish of the season. 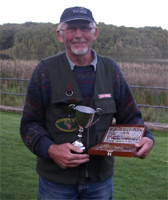 The annual fishing competition for club members will take place on Friday 14 August followed by a barbecue in the evening. All members should by now have returned their slip to enter the competition and/or confirm if you are attending the barbecue. If you have not one so, please return these as soon as possible. This year's new additions to our fleet are proving to be very popular with both members and visitors. 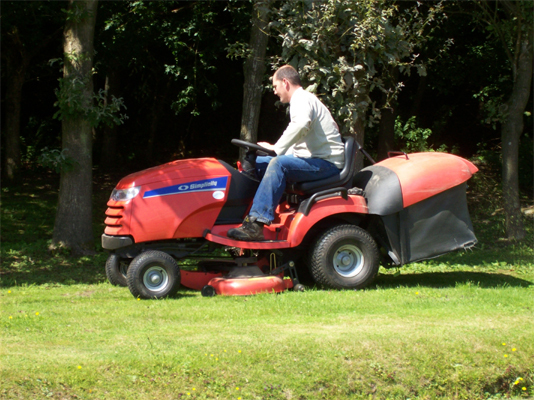 At this time of year it is hard work keeping the surroundings neat and tidy. 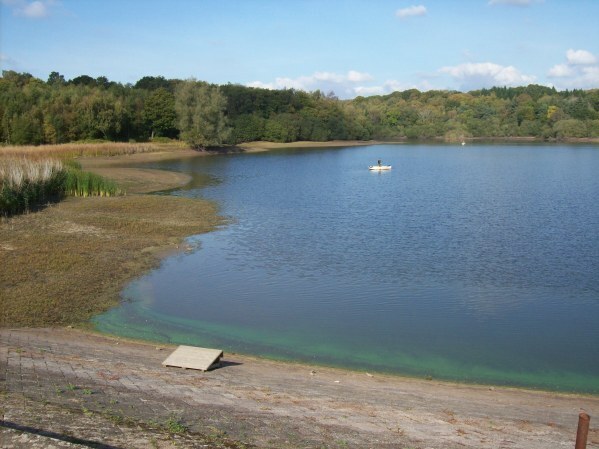 Although the weather has not been that good for this time of year, the trout still do not enjoy the warmer temperatures which reduce the oxygen content of the water. 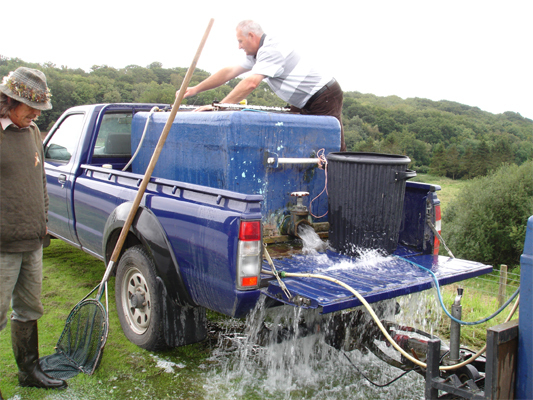 The large scale aeration system operated at Powdermill attracts large numbers of trout as it not only increases oxygen levels but also stirs up valuable food. 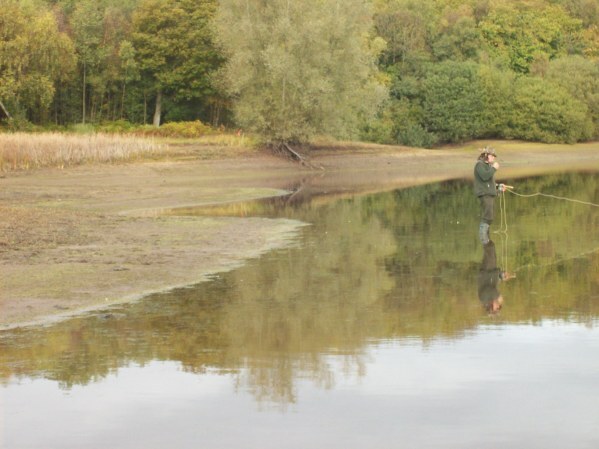 In recent weeks, many anglers have benefited from fishing the 'bubbles' using floating lines with small imitative flies. Despite it being mid-summer, we have increased the number of fish deliveries in order to keep stocks at maximum levels. We hope this will ensure that we have the best ever catches during the normally hard August/September period. 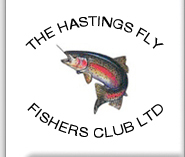 Members of Hastings Fly Fishers took on visiting members of the Sussex Fly Dressers Guild in early July. 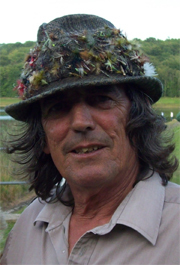 This year it was the turn of the Sussex Fly Dressers Guild to be victorious. Unfortunately, your intrepid reporter was away on holiday, so thanks to Tim Stacey for stepping in to take some photos of this event. Because it still gets dark early at this time of year, we have decided to extend the earlier evening start times. Please note that Visitors Evening Tickets now start from 4pm in May, June, July and August. Due to the lack of light in March, April, September and October, Visitors Evening tickets and Evening Boat Tickets are valid from 2pm. Please note that Members Afternoon Tickets start from 2pm, except in March, April, September and October when, due to the lack of light, Members Afternoon Boat tickets are valid from 1pm. Visitor prices for 2009 have now been published on our website. 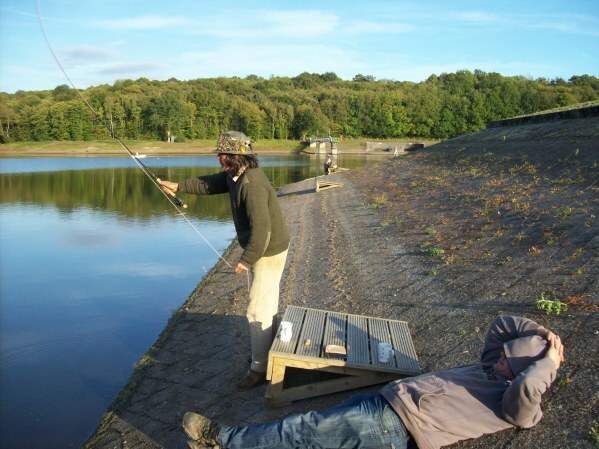 From 1st March 2009, visitors should note that they will now need to purchase a day ticket if they intend to commence fishing before 4pm. After 4pm visitors can purchase an evening ticket. Because of the lack of light in September and October, visitors may use their evening ticket from 2pm. 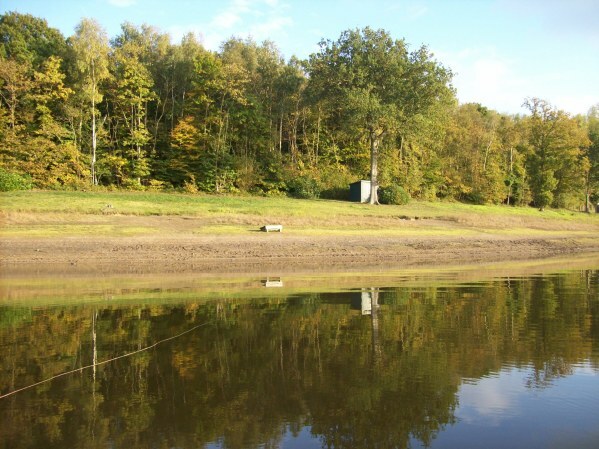 Before the start of the new 2009 season on 1st March, you still have the opportunity to indulge in some really cheap winter fishing at Powdermill Reservoir.